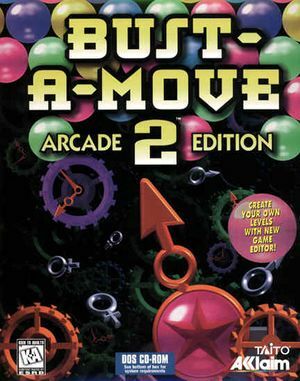 DOS version of Puzzle Bobble 2 released by Acclaim. Isn't a direct port of the original arcade version like the Windows version, resulting in missing and/or sped-up sprite animations and off-cue music. Simple disc check. Uses Redbook audio for music. Supports resolutions up to 1024x768, but only 320x240 takes up the whole screen. Cutscenes and whatnot are locked at 20fps, gameplay runs at 60fps. This page was last edited on 30 March 2019, at 02:15.